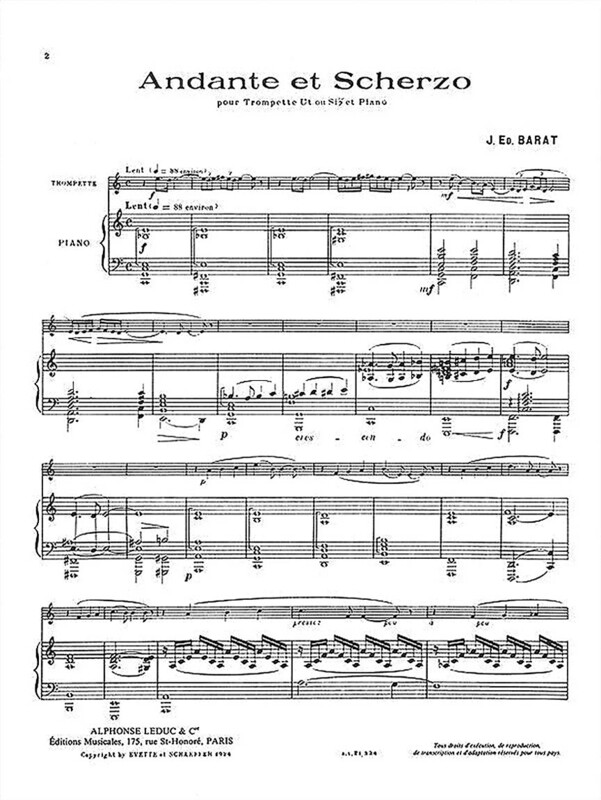 Joseph Edouard Barat (1882-1963) is best known for his concertos and compositions for solo wind and orchestra. His sympathy for wind music is thought to have been influenced by his work as a bandmaster with the French Army; from which his compositional expertise has derived. 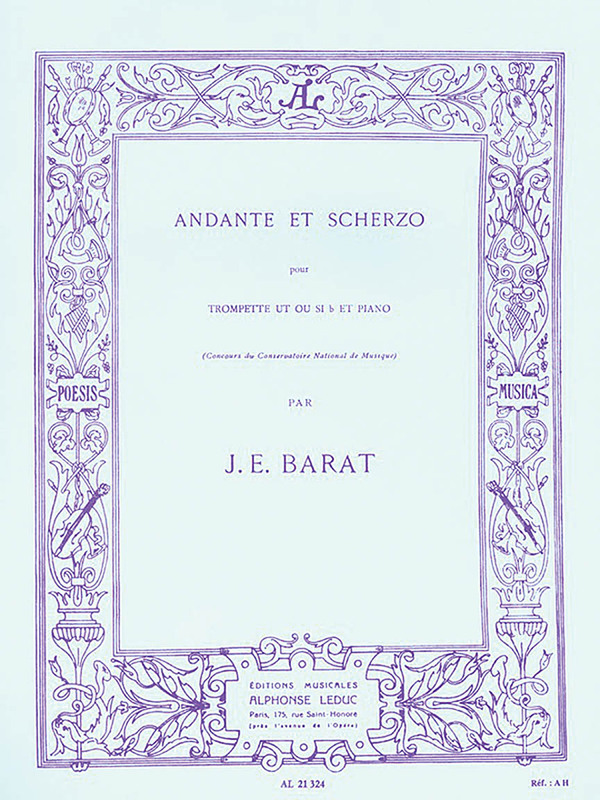 His Andante et Scherzo for Trumpet and Piano begins in a slow; common time; avoiding clear tonality until it cadences in C major. The second movement is also in C major yet provides contrast by its compound meter and quick pace. Barat's talent is proven when he cleverly combines the two movements during the coda. These musical elements; along with many other features; create a highly enjoyable performance and is a necessity for any trumpeter's repertoire.